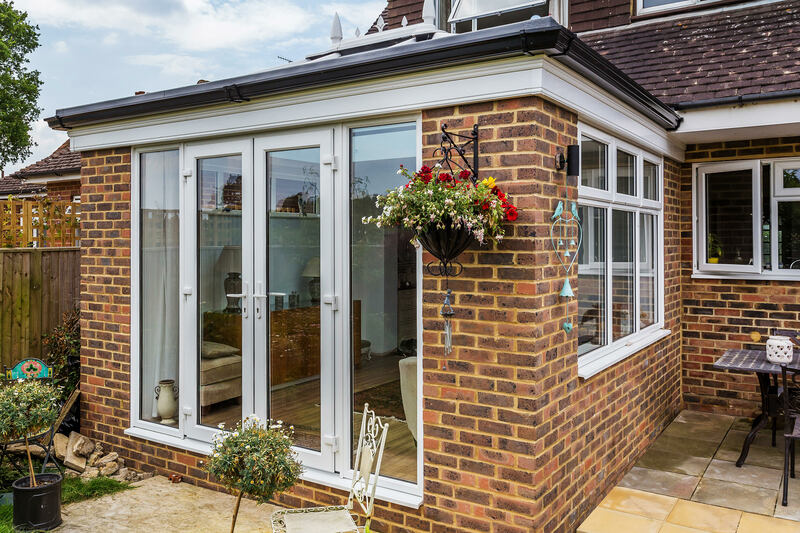 When previous customers, Mr & Mrs Williams, contacted us, they explained that they wanted to create an open plan orangery extension in Brockham that would connect their home to their garden in their new property and came back to Castle Conservatories as they had been so pleased with the build that had been carried out at their previous address. The new structure would need to be sympathetic to the design of their property. Light would play an important part in the design of their new room, which would also need to feel private enough to relax in or use for entertaining friends. The orangery extension would require a structural opening but no connecting doors. A traditional orangery style was required for the project and the proposed structure would need to meet a high performance standard – in terms of security, thermal efficiency and light transmission. We advised Mr & Mrs Williams that we could help. 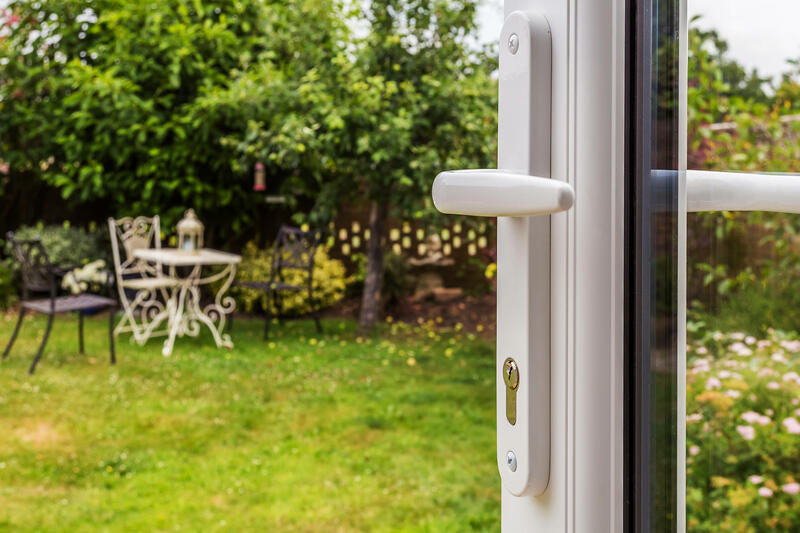 Castle Conservatories put together a blueprint for an extension that addressed all of the concerns highlighted. We showed our customers the plans and they knew we would be on-hand to project manage their new project as we had before helping with every aspect of the building process. 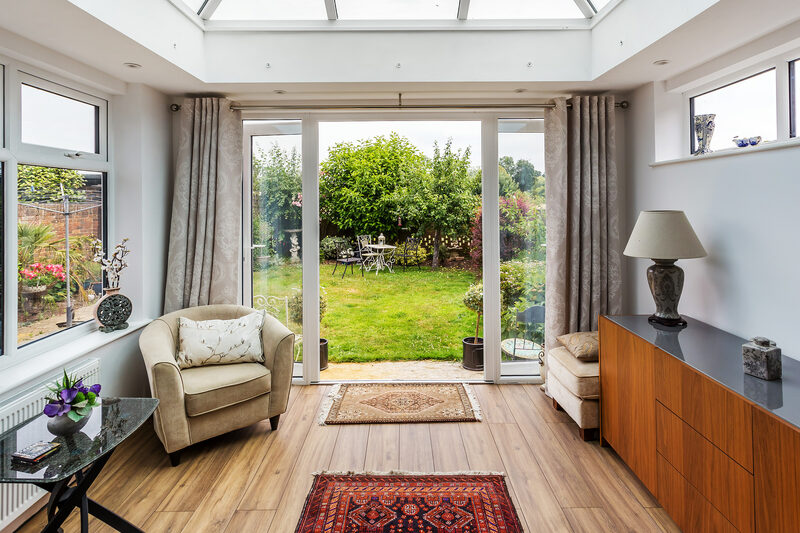 Find out how we can build a market-leading orangery extension like the one featured in our case study by contacting our team. Use our new Virtual Reality Tour app to get inspiration and design your ideas for your project by visiting our design tool. Here are the steps that we took to make sure Mr & Mrs Williams orangery extension met their design requirements fully. The light was one of the top priorities for our customers. 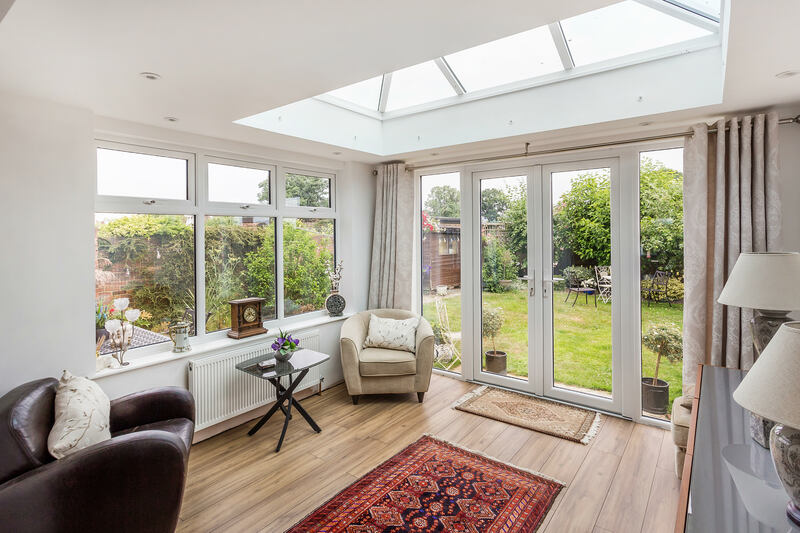 We knew that the lantern-style roof – which features fewer bars – would fill the orangery extension with lots of space-creating sunshine. This made it the perfect choice for the project. Additional illumination was invited into the room via windows and an external French door that perfectly framed the garden. By avoiding the use of full-height glazing, we were able to maintain privacy without making the room feel claustrophobic. Light coloured wooden flooring was chosen for the project, which worked with the white uPVC in the windows and doors to capture and reflect light back into the room. The overall effect we achieved met Mr & Mrs Williams design objectives. The outside of the orangery extension uses the same brick used in the body of Mr & Mrs Williams’ home. This means that it acts a continuance of the property, rather than jarring architecturally and spoiling the external view. A traditional effect was achieved by using classic orangery features like masonry and a roof lantern with finials and crestings. The completed structure looks solid but nonetheless welcoming and adds real market appeal. We recommended adding a decorative cornice to the design to further improve the appearance of the orangery extension. The improved roofline hides the guttering and accentuates the flat roof that was chosen by our customers. The internal and external spaces flow seamlessly together. A structural opening introduces people to the lounge area where they can relax and talk. 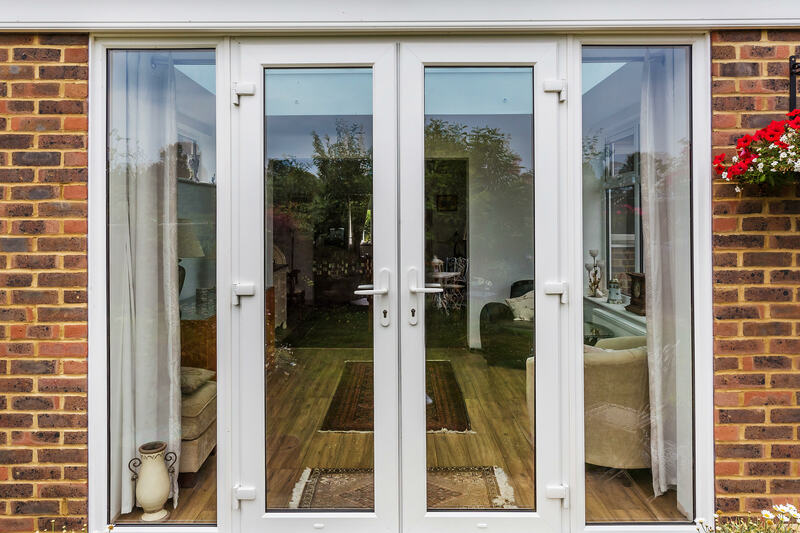 Exterior French doors can be opened wide when entertaining, allowing guests to come and go freely. 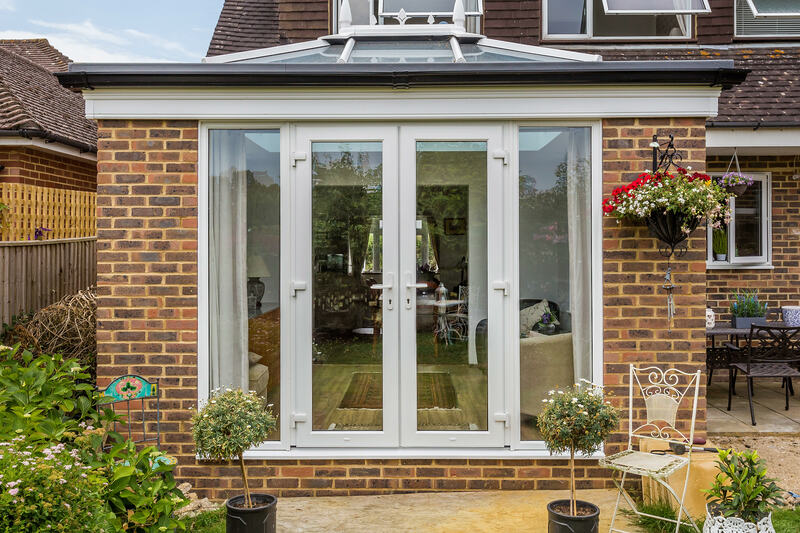 The square shape of the orangery extension allows internal space to be organised efficiently. Mr & Mrs Williams are now able to entertain friends and family all year round in their new extension which flows from kitchen to lounge extension to garden without any problems. 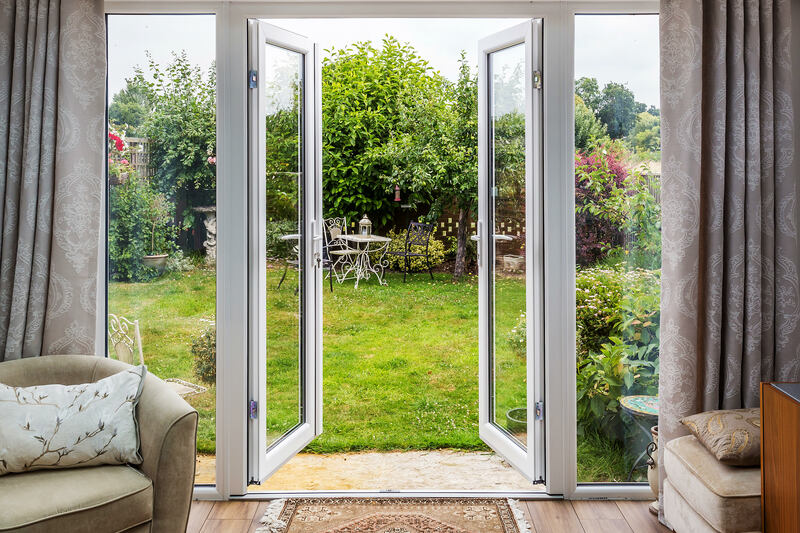 Use our free orangery design tool to create your dream extension today. 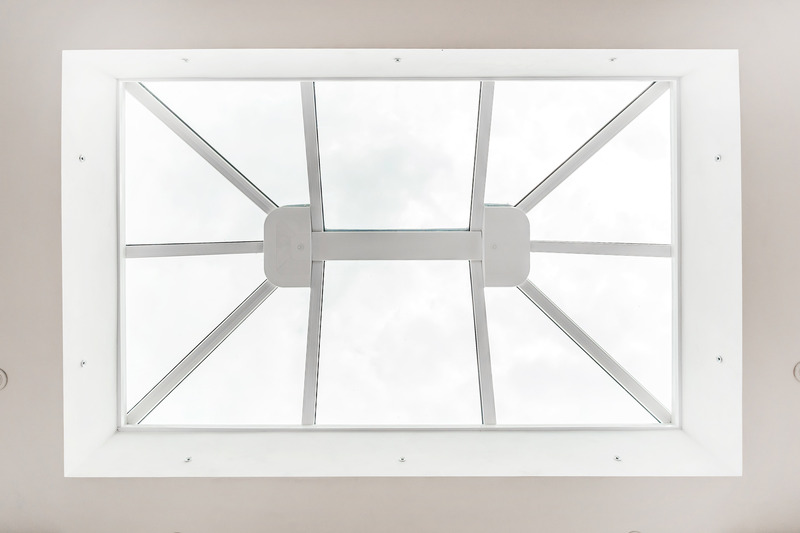 The glazing used in the lantern roof – and elsewhere in the extension we built – was designed to retain warm air and make the room comfortable. It would also work in reverse by preventing the extension from overheating. Whatever the time of year – and no matter what the weather was doing outside – Mr and Mrs Williams would be able to enjoy their new room. During the evening, the spotlights in their roof design would make their orangery cosy. 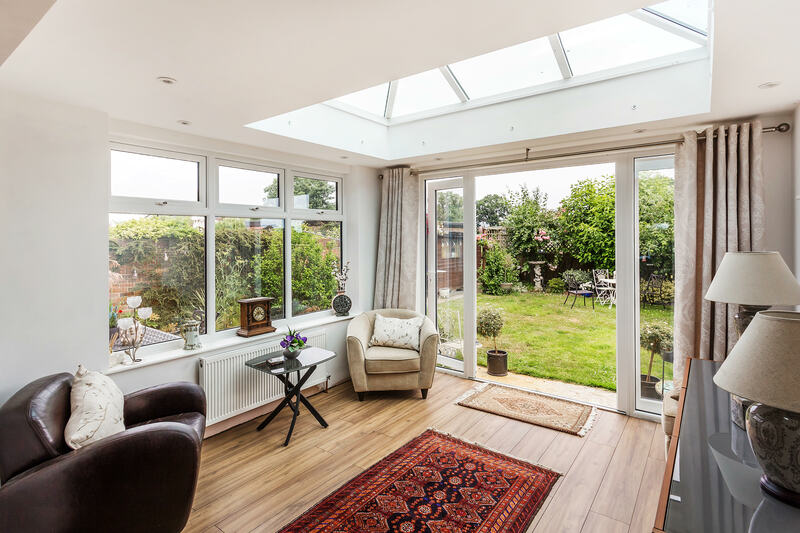 Step inside one of our orangeries using our powerful Virtual Tour Tool. Click on features of interest to learn more about them then call Castle Conservatories for advice and a quote. You can also use our design tool to explore ideas.